PAUL BUNYARD beat a star studded field at the Fairview Club, Harrow yesterday to regain the prestigious Champion of Champions trophy that he won in 1997 and 1998. Full details will be posted as soon as possible. Many congratulations to Paul who has once again, done the Byfleet League proud and completed his renaissance to top flight club and league snooker. 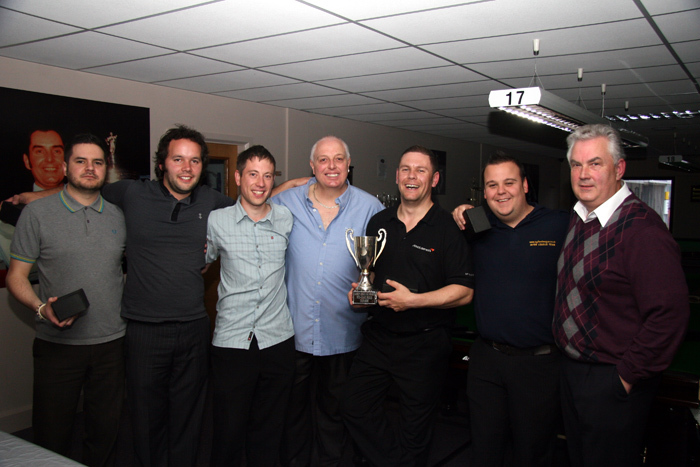 Previous winners of this tournament are MARTIN GOULD and MARTIN O'DONNELL , both of whom are now on the main professional circuit.